Do you need a firm of Methamphetamines Lawyers Melbourne? If you have been charged or are going to be interviewed then you should contact a firm of Methamphetamines Lawyers in Melbourne immediately. We have handled many very large cases involving methamphetamines and also acted for people with no history who have been charged with possession of meth in small quantities. Methamphetamine better known as "ice", "meth", or "Crystal Meth" is a psychoactive stimulant which speed up the brain and give the user an intense high, which is often called a rush or a flash. Methamphetamine is produced in powder, pill, or crystal form and is also referred to as "glass", "speed" or "Uppers." "Meth" is often used by women to cause extreme weight loss, however the effect is not long lasting. It is also taken because of the long lasting high that it gives, and the sense of euphoria is creates. In the short term Methamphetamine causes insomnia, heart palpitations, increased breathing, heart rate, and blood pressure. Over an extended period of time "meth" can also cause behavioural problems such as paranoia, psychosis, unpredictable moods, suspicion, anger and depression. The user can develop a classic meth related look that is associated with sores on the face, and a collapsed jaw. This look is caused by addicts believing they are itchy and then picking at their face with nails or any other tools, as well as the rotting of the teeth, and grinding the teeth, which ultimately collapses the jaw inward. Regardless of whether the offence is for Methamphetamine Possession, Production or Trafficking, the court takes these matters very seriously and harsh penalties are often imposed. Ensure that you get the best outcome by engaging the best Methamphetamines Lawyers Melbourne. 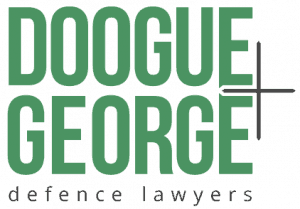 Contact Doogue + George Criminal Defence Lawyers today on 03 9670 5111.